Christmas and New Year are over, and we’re well and truly stuck in the middle of winter with no way out. Chances are, you’re starting to think about your next big trip! Here are some tips on how to have the perfect romantic break of your dreams. If you’ve had your dream holiday on your mind for a while now, it’s time to become reconciled to the fact that you may not get exactly what you want. One of the hardest things about being in a relationship is compromise. It can feel like you’re giving away little pieces of yourself one by one as you adjust your dreams to fit in with your partner’s. But there’s also a sort of joy in doing what they want to do as well. Make sure that you’ve talked to each other properly to ensure that you’re not steamrolling each other and that you’re both getting what you want from your romantic holiday. Meet in the middle so you can find a way for you both to be happy. One of the best ways of bonding as a couple is to discover new things together. Sure, you might want to show one of your favourite cities to your partner, and chances are, they’ll really appreciate your expertise and being included in something that you love. But if you choose to do that, take the train to another city for a day so you can both explore something new together. Creating shared experiences will be something that you look back on when you’re old and grey – and hopefully still having a lot of adventures! How long have you been together? A few years? Are you expecting a proposal? If so, shut that idea down immediately. Expecting something that may not be coming is the best way to ruin a vacation. If you expect to get proposed to on vacation and it doesn’t end up happening, you might feel bitter towards your partner, and you won’t have the best memories of a holiday that could otherwise have been a great time. Sure, under the Eiffel Tower might have been the perfect place for him to place your dream Tacori ring on your finger, but real life doesn’t always work out the way that you want it to. If you’ve talked about it, trust that your relationship is moving in the direction that you want it to at a pace that you’re both happy with – and chances are, you’ll find any proposal that he chooses to be the perfect one. Remember that one of the true joys in life is spontaneity. Not all of us find it easy to be spontaneous, and maybe you’re one of those people who does best with an itinerary and timetable. Admittedly, it’s important to have organised people around – it means that the more flaky of human beings get to where they need to go with minimal stress and angst, but it also means that you can be a little too rigid, which can take the fun out of things. Being able to go with the flow is a valuable personality trait that you can develop over time. 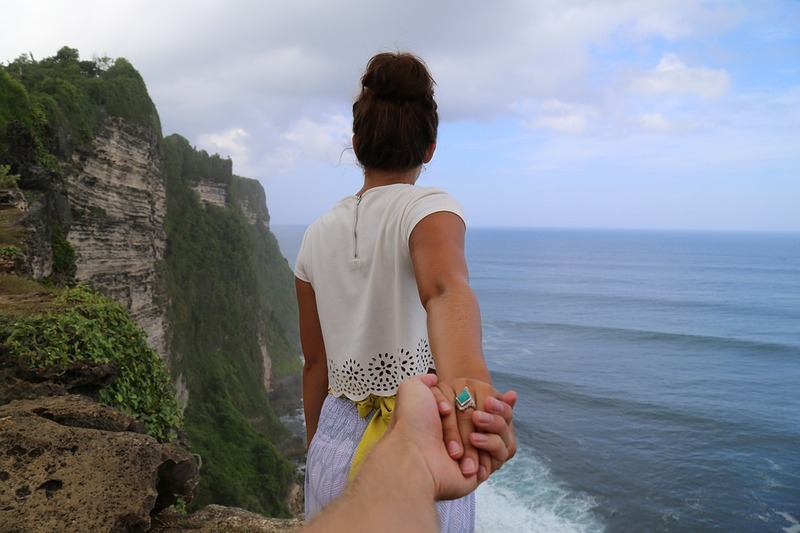 Relax and trust your partner to keep you safe on the romantic trip of a lifetime.